Poultry — Harriston Packing Co.
Harriston Packing Co. partners with a local poultry farm to offer a wide selection of frozen boxed poultry products. We also have fresh turkeys for order at Thanksgiving and Christmas. As always, please let us know if you have a special request and we will do our utmost to help. CHICKEN WINGS - A PARTY FAVOURITE! Large quality chicken wings, fresh and full of flavour. Our wings are split and tips are removed. Approx. 24-28 pieces per 4lb box. 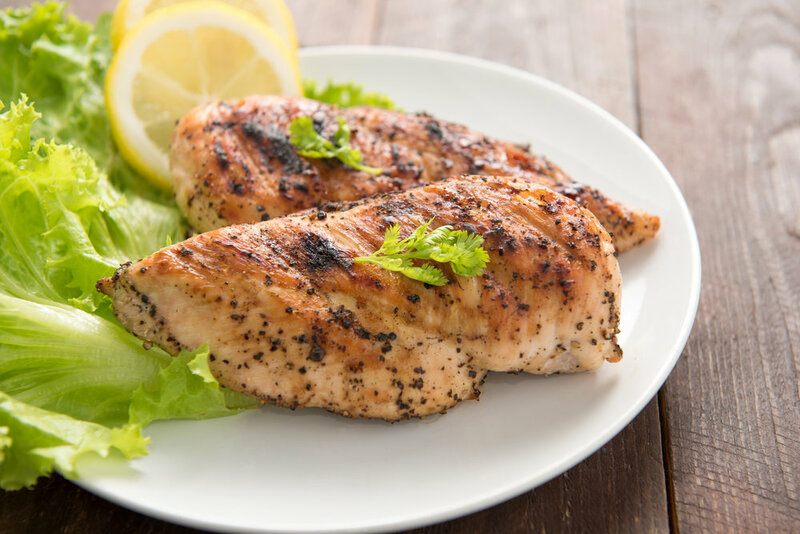 PREMIUM CHICKEN BREASTS - Our quality skinless, boneless chicken breasts are juicy, moist and tender. Great on the grill or in a favourite recipe. Approx. 8-10 pieces per 5lb box. BONE-IN CHICKEN THIGHS - Available in a 5 lb box. BONELESS CHICKEN THIGHS - Available in a 5 lb box. EXTRA LEAN GROUND TURKEY - Ground turkey is very lean and high in protein, it’s a great way to add variety to your diet. Approx. 10 pieces per 10lb box. EXTRA LEAN TURKEY BURGERS - All the same great taste and nutritional benefits as our extra lean ground turkey in a tasty and convenient burger. Approx. 32 pieces per 10lb box.